Search for the latest homes, condos, and lots for sale in Sandestin Resort in Miramar Beach, FL. 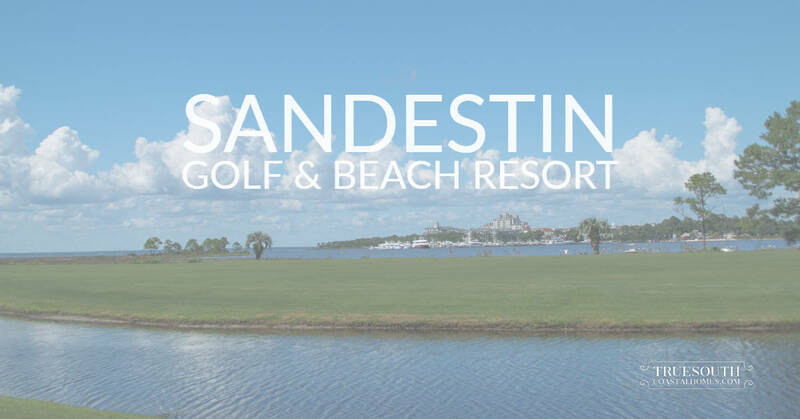 Learn more about Sandestin Golf & Beach Resort with our local Sandestin Resort Guide. Sandestin homes are a fantastic beach getaway for many and a full-time lifestyle for others! Sprawling over 2,400 acres, the Sandestin Golf & Beach Resort spans between the Gulf of Mexico and the Choctawhatchee Bay and enjoys some of the most beautiful sugar-white sand beaches in the world. One of the great benefits here is that regardless of where your home is on the resort, owners and their guests will enjoy easy private access to these beautiful beaches, even in peak season when public access can be a challenge. You can hop on a golf cart and head for to the beach. You can get anywhere on the resort by golf cart and even navigate over to Grand Boulevard, an outdoor upscale shopping center with Publix grocery store. You find restaurants like Emeril's Coastal Italian and a great movie theater with ten screens. There are also four championship golf courses (Baytowne, Links, Raven & Burnt Pine) and a host of world-class amenities that are hard to find anywhere. There is a reason Sandestin is one of the top destinations in Florida. 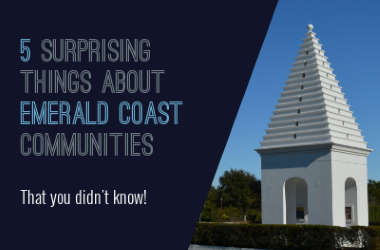 There are over 60 distinct communities or neighborhoods within Sandestin. Each one has its distinct personality. Sandestin has an assortment of condos, townhomes, cottage-style homes, and estate homes in every price range. Sandestin Condos are hot right now. Have fun browsing what's new on the market, but let us know when you're ready for help sorting out all the options. Let us show you around! The overall Sandestin property Owners Association can be found here. You can find a list of individual Sandestin neighborhoods and their management companies, dated July 2018, posted here. Use this resource for contacts and researching governing documents. Sandestin is a private gated community, but they welcome visitors to enjoy the resort's entertainment, restaurants, and shops. Just let them know at the security gate where you're heading, and they will happily provide you with a day pass and some directions! If you love a small town with a New Orleans flare, you will want to experience Sandestin's Village of Baytowne Wharf. They call it the heart of Sandestin. It encompasses a marina, an assortment of eateries, boutiques, activities. There's a lot to do in the village, and special outdoor events are scheduled here all the time (e.g., fireworks, live music, ice skating). One of our favorite restaurants is Marlin Grill. We often join friends for dinner here for Thanksgiving and Christmas. Condos here are an attractive investment option due to its proximity to the action and the beach. If you love the "live, work, play" lifestyle, schedule a showing of a condo located above the shops or in the Village. 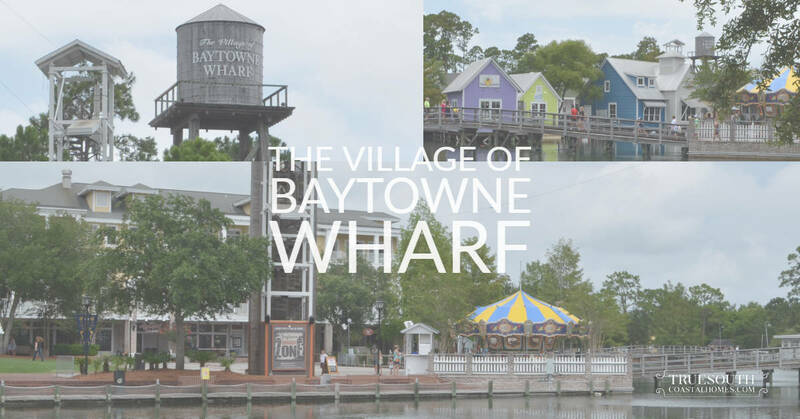 Here you will find the latest Village of Baytowne Wharf condos and real estate listings for sale. Update: Here's what's going on in April 2019! The listings on this page include homes and real estate in Sandestin Golf & Beach Resort in Miramar Beach, Florida. If you’re interested in scheduling a showing or learning more about any one of these homes, simply fill in your contact information and click the “Request More Info” button. Our team is here to provide you with any information you need, including disclosures, the sales history of a property and nearby market data. Call a real estate expert at TrueSouthCoastalHomes.com - (404) 395-4381. We specialize in coastal communities on Florida's Emerald Coast from Destin and Niceville to 30A and Inlet Beach. We are committed to a 5-Star experience and to finding you the perfect home that matches your personal list of wishes and needs.